Please note that your votes are anonymous and can't be changed. The ballot will close exactly on January 15th, 2019 at 9:30 PM EST (UTC – 4). The livestream will take place on https://www.twitch.tv/cursonafun at 10:00 AM EST (UTC – 4) on January 27th. Follow the channel (with notifications on) to know exactly when we go live. Feel free to discuss or campaign the nominations. If you have any questions let us know here! Also, could you make the Twitch link clickable by using https://www.twitch.tv/CursonaFun? 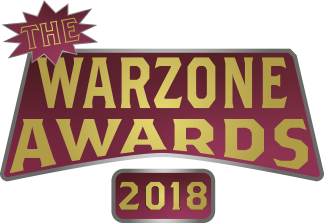 Pichu (https://www.warzone.com/Profile?p=8129497151) was nominated 3 times for community member of the year and still didn't get on the ballot. where is xeno my boy, i nominated him for all valid categories. Just because you put in a nominee suggestion doesn't mean it will make the nomination list. Can you swap 1 positive vote for 10 negative votes? If so I use 10 negations on Dan. based on what criteria did you decide if a suggestion makes it to the nomination list? Anyone down for predicting the results before they happen? This year, every nominee received and invite as well as a special card depicting themselves and their nomination. The cards and invites have just been sent out. Gonna be an exciting show. Those nomination cards are very snazzy! Reuploaded comment since trolls downvoted last one. Haha, yeah! It’s definitely funnier now that you said it a 2nd time! Another thing to note, ya’ll can use those cards for whatever you want. I remember dan asked me last year as if I was gonna hunt him down for ‘stealing’ it. Yeah use them while you can. Eventually we gotta start charging. We can’t afford to live off of our sponsors forever. Definitely going to make use of the card. Only a week left to vote, folks. If you haven't done so yet, you totally should! And no I am not being sponsored to say that. But as Shia Laboeuf once said in front of a green screen "Just do it!" If discount Indiana Jones can give you that level of advice then at the very least you can take it.